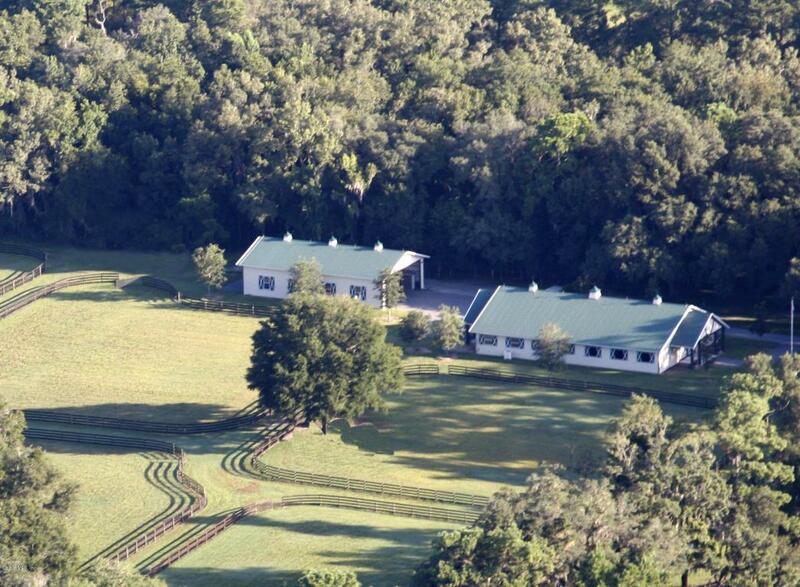 Exquisite 25 +/- acre equestrian facility in the heart of Ocala. 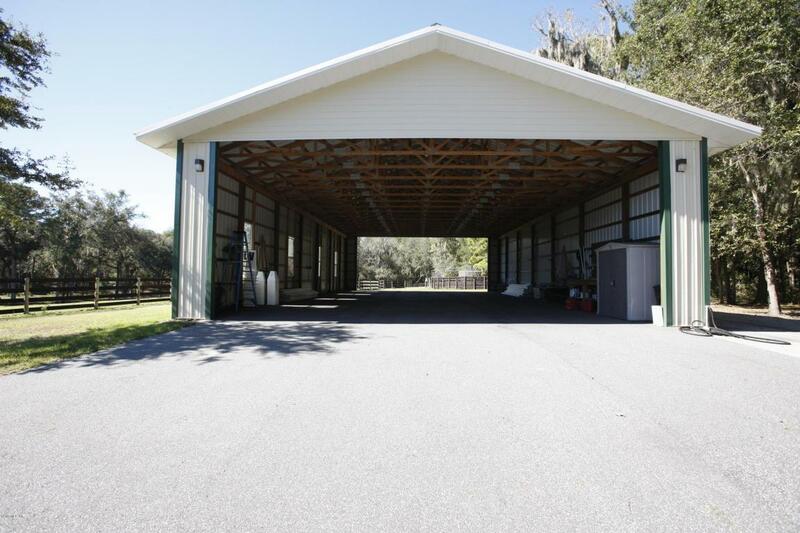 As you enter the property through the gated entrance and drive up the drive you emerge at the stunning 7-stall barn on the right. 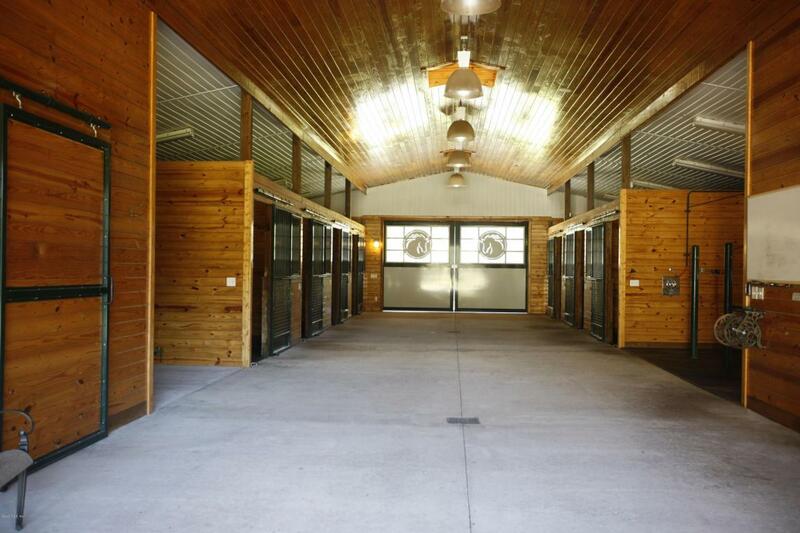 This barn has been finished with great detail and thought for the avid horseman some of the features include: finished walls, tongue and grove ceilings, interior work area with built in cabinets, wash rack, finished a/c tack/laundry room with built in cabinets, a/c apartment/office plus 2 a/c rooms for your carriage or use of your choice. Nearby is the open end equipment building. For the owner of manager of the farm there is a 2 bedroom/ 2 bath home plus a cottage for your guests. If you prefer to build your own custom home there are plenty of sites with beautiful viewsAdditional Acreage AvaiAdditional Acreage Available: Purchase Options:$4,400,000: Entire 69+ Acres and all improvements.$2,600,000: 44 +/- Acres Main Residence 6 Stall Stable with Apartment, Additional 6 stall barn with half bath, irrigated paddocks, tree covered riding trails and open riding areas. 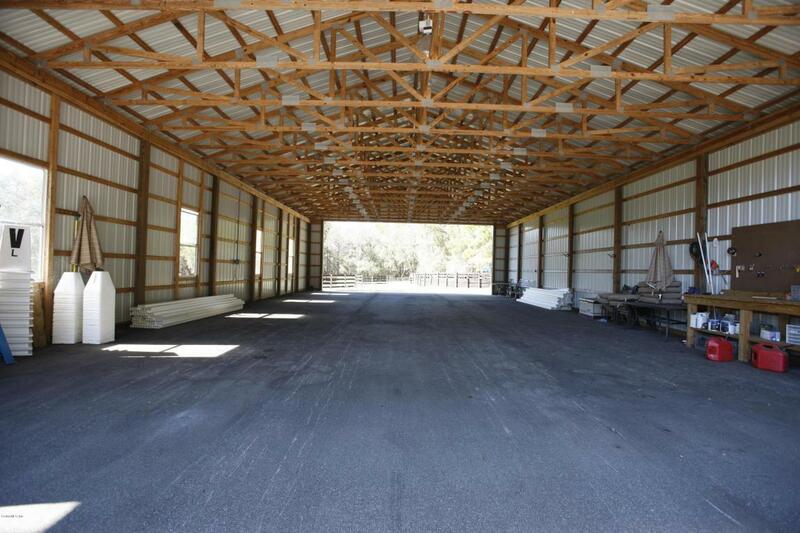 $1,800,000: 25 +/- Acres Show stable, Expansive covered equipment building or could be made into additional stalls. Acreage Subject to survey on division.